Can one printer really satisfy all your printing requirements? The Canon MP610 has a secret weapon in the shape of a second black ink cartridge in its arsenal. Uniquely, rather than adding photo magenta and photo cyan inks to the line-up for more effective photo output, Canon includes both pigment-based and dye-based inks as standard, along with the cyan, magenta and yellow cartridges. The result is spectacularly fast mono and colour document printing, along with photo quality that simply outdoes the competition. Along with beautiful skin tones, great contrast, vivid colour and exceptional sharpness, photo printing speed is blisteringly quick, even in top-quality mode. 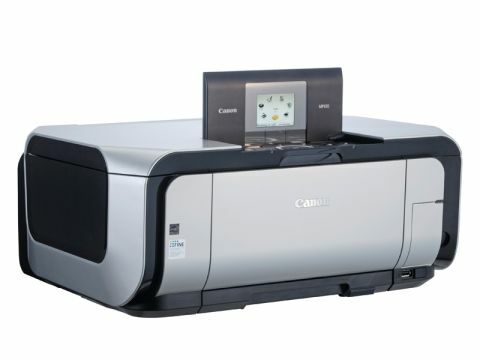 Indeed, Canon itself seems to be so happy with the photo quality of its five-ink arrangement that it's dropped the more conventional six-ink photo printers from its product range altogether. Getting back to document printing, the MP610 automatic duplex for outputting double-sided documents and its dual paper input tray together make it painless to regularly print on different types of media. Along with the fastest, cheapest and best quality printing among its peers, the MP610 is also rather special in the scanning department, with a class-leading 4,800 x 9,600dpi resolution scanner that produces wonderfully sharp scans with impeccable colour rendition. This is great not only for high-speed photocopying, but also for scanning photos and documents into your PC. Rounding off the feature set, the multi-format memory card reader, colour LCD and intuitive controls make direct photo printing a breeze. We really couldn't ask for more from the Canon MP610.